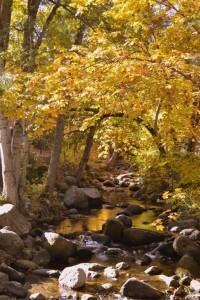 The City of Ashland is located at the confluence of Ashland Creek and Bear Creek in southern Oregon. 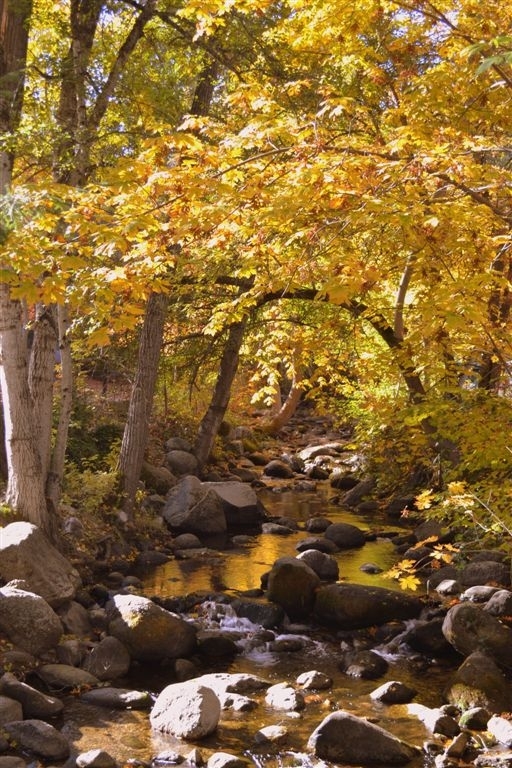 Ashland Creek provides the city with its municipal water supply, and both Ashland and Bear Creeks provide various recreational opportunities to residents and visitors. Riparian areas along Ashland Creek, as well as other smaller creeks that run through Ashland, help define the community by breaking up urban development and encouraging public access to our water resources. Many of Ashland’s public parks are located along creeks, and residential properties commonly extend into riparian habitat. With creeks and streams being such an important and visible aspect of the community’s identity, Ashland strives to maintain water quality through protection, education and restoration activities as well as the development and maintenance of the city’s stormwater drainage system. For recorded information with regularly updated home landscaping irrigation recommendations, call Ashland’s watering hotline: 541-552-2057. The North Mountain Park & Nature Center, a branch of the Ashland Parks & Recreation Department, is located along Bear Creek and the adjacent flood plain. The natural area of North Mountain Park (approximately 14 acres) is managed to protect and enhance ecological values and for compatible educational and recreational use. A primary focus of restoration and management is to maximize habitat diversity and important stream features and functions. For example, rock weir structures have been installed to increase habitat complexity and retain gravels for salmon spawning. Complex stream bottoms create habitat for aquatic insects which fuel the stream food web. A backwater alcove was constructed to create a resting area for juvenile Coho salmon during high flows in winter and spring. Coho spend one to two years in streams before heading to sea, so such refuges are important to this federally listed species. Many volunteers have planted native tree and shrubs to create a canopy cover to provide a safe corridor for wildlife and casts vital shade, helping keep stream waters cool and oxygen levels high. The stream channel is maintained through the continuing efforts of volunteers and Service Learning groups who remove invasive species, such as Himalayan blackberry, in favor of native species. By re-establishing the canopy that once shaded the water, Bear Creek habitat is improved for Steelhead, Chinook and Coho salmon. Beginning in 2011, stream monitors have found salmon spawning in Bear Creek at North Mountain Park. In addition, the Park supports water quality and water conservation through functioning bioswales near our parking area which improve water quality of stormwater runoff, and a new Water-Wise installation demonstrating synthetic turf and pervious pavers as alternatives to irrigated lawn. 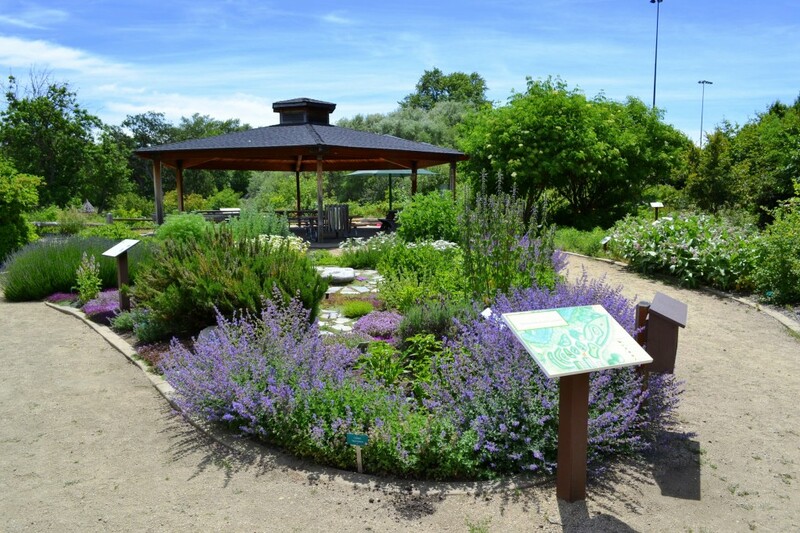 The Nature Center promotes sustainability practices by offering a wide range of community programs and school field trips on sustainability and water conservation topics. Annually, North Mountain Park hosts the Bear Creek Salmon Festival, a free educational event celebrating conservation and restoration efforts in our watershed.